Over a decade and a half into the 21st century, one thing has become clear: change is the new normal. In business, it’s called innovation, and it’s a strategic pillar in nearly every organization. Thanks to a growing body of research and thought leadership in recent years, we’re learning a great deal about the individual skill sets behind innovation, and the organizational strategies that create disruptive growth. Yet in organizations around the world, well-intentioned innovation initiatives crash and burn, despite a wealth of great ideas, copious research, and well-designed strategies. Why? Innovation is not just about data analysis, plans and processes, and thinking outside the box. More than anything else, innovation is about change. And the truth is that as much as we’d like to think otherwise, we are all hardwired to resist it. Your “innovation initiatives” are no exception to this rule. People are tired of being asked to change and innovate. It’s become a dirty word inside organizations, because it usually heralds one more complicated system to learn, or more things to add to the daily to-do list. Call a big meeting to kick off another “change initiative” and just about the whole team will roll their eyes. They know that next year more changes will be implemented, because the last change initiative didn’t change a thing for the better, or the execs that start the initiative won’t be there in a year, and the next leadership team will roll out yet another initiative. That cycle stops here. Despite the grumbling, eye rolling, and resistance, change is an absolute imperative for organizations today. Innovation is not only about finding new growth opportunities and improving the bottom line. It’s about developing services, solutions, and ideas that improve people’s lives, and the world in which we live. This is what the greatest organizations – and individuals -strive to achieve. So, what can we do to make change stick? Lisa Bodell, founder and CEO of futurethink, an internationally recognized innovation research and training firm, believes that anyone can be innovative, and everyone can become an agent for change. Futurethink helps organizations—from Fortune 500 companies to boutique firms—create environments where innovation and change thrive naturally. Working with these companies has given futurethink a chance to experiment with ideas about what it takes to build innovation capabilities in organizations, and then test-drive specific tools and exercises to make it happen. According to Bodell, one of the things that she’s learned along the way is that when it comes to change, an organization’s biggest enemy is itself. Before you jump in and start trying to shake things up, it’s helpful to gauge how open to change you—your organization, your team, or you as an individual—are today. Is your culture as a whole stifling innovation, or will just a small tweak here and there get your cylinders firing wildly again? 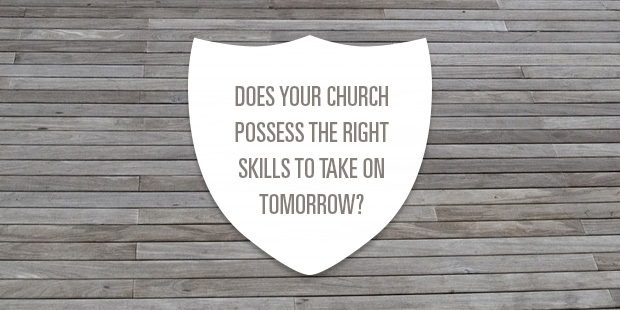 Does your organization possess the right skills to take on tomorrow? Does it embrace the behaviors necessary to create a culture that incubates innovation and generates growth over the long term? What skills and behaviors do you already possess and where can you improve? You can take stock of your innovation situation by taking the futurethink Innovation Capabilities Diagnostic, available in the download below. This Innovation Diagnostic will help you get a feel for how fertile the ground is for innovation in your organization. With a general idea of where your organization could improve, you’re well on your way to examining the many ways you can begin to inspire innovation at your organization, and ensure that – this time – the changes will stick. >> Download How to Make Change Stick by Lisa Bodell here. Would you like to learn more about developing an intentional strategy to help your organization deal with change? Connect with an Auxano Navigator and start a conversation with our team. Lisa Bodell is the author of Kill the Company: End the Status Quo, Start an Innovation Revolution (Bibliomotion). As founder and CEO of futurethink, an internationally recognized innovation research and training firm, Bodell believes that everyone has the power to innovate; they just need to know how. As a leading innovator and trainer, she has devised training programs for companies such as 3M, GE, and Johnson & Johnson. Learn more and keep up with her online at www.KillTheCompany.com. 1. Exemplary in overall character. They lead and shepherd by example. And no area of leadership is insignificant in this respect. If he oversees the greeters, he does so with grace, patience, and diligence. If he shepherds a small group of 2 other men, he doesn’t berate them for not doing their reading that week. He sets the tone by his example. He gets people motivated by his observable diligence and enthusiasm. Overall his life is photocopy-able (1 Pet 5:3), erring on the side of taking more time than less to observe this. Others should already be able to identify them as someone who can be modeled. 2. 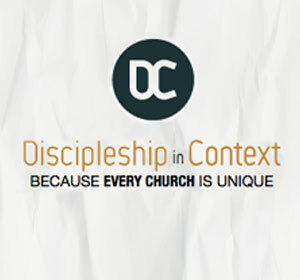 Competency as a shepherd and/or leadership characteristics. They are showing clear signs of a biblical shepherd. If they are going to be involved in something like shepherding a home group, its best to ensure they are a deacon or already known as a capable shepherd by existing leadership, including a potential ability to teach (1 Tim 3: 1-7, 1 Pet 5:2-3). They must already have visible and competent influence in the church, especially for more formal disciple-making roles. We should ask, “Who is already being impacted by them?” and, “Who is already receiving some biblical care by this person?” People in the flock should point to this person as someone who they are already following at some level. This is an area where many leadership teams err; namely, by presumptuously appointing leaders. Simultaneously, many presumptuously assume they should be leading others (i.e. 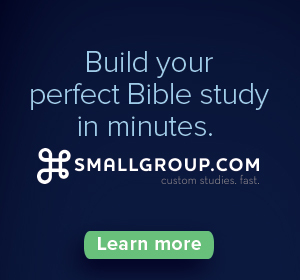 a Bible study, small group, etc.) with no wake of sanctified souls to show, by God’s grace. No one should presume they are ready for shepherding/leadership in such a capacity if they do not have at least a handful of souls who have been observably transformed more into the image of Christ because of their competent care. 3. Exemplary in mistakes. One of my mentors (who patiently took risks with me) used to tell us, “The higher you climb up the flagpole, the more everyone can see your tail.” Whether overseeing the meal ministry or chair set-up or preaching, leaders’ mistakes are magnified. They just have to embrace the fact. So, the way they respond to their own sin and failures in leadership needs to be exemplary as well. They humbly acknowledge mistakes and demonstrate a genuine quickness and sincerity in confessing sins and asking forgiveness (1 Pet 5:3). This is important even in the small things. Beware of the one who seems to shift the blame, even in little things. 4. Unity with current leadership. This point cannot be overemphasized. Before planting the church, some wise elders told our team, “It doesn’t matter much who you minister to; but who you minister with is everything.” Unity is the necessary fertile ground to bloom a healthy ministry. And unity should include doctrinal and philosophical unity. Rising leaders in the local church, then, need to competently articulate the doctrine and philosophy of ministry of the local church while being united with it. They should have demonstrated a pattern of humble and eager unity in the church through membership.. They can’t be the one you hear about who maintains a distance or quietly chatters about the leadership to others in the church. That is in no way to say that leadership are unapproachable. On the contrary. But he approaches them privately, to preserve the relationship, protect the leadership’s reputation, and recognize those whom God has put over him. A humble loyalty ought to characterize a future leader’s demeanor towards the leadership in order to preserve Christ’s reputation (John 17:20-23, Eph 4:3, Phil 2:1-5). 5. Submission to current leadership. Even if they do not see eye-to-eye on every doctrinal issue, they show that critical trait of humility by coming under the imperfect, existing leadership team. Their life is a model for the flock of biblical submission to leadership (Heb 13:17). If they cannot submit to leaders prior to serving in leadership, they will not be able to once in such a position. And if that’s the case, they are hazardous to the flock, potentially factious, and should not be leading. They need additional shepherding and care. Leaders at every level need to demonstrate an unforced, genuine submission to the current leadership team. It’s the way Jesus has designed the local church to work. 6. Confrontable. After seeing churches, lives, and relationships wrecked due to an unconfrontable spirit, I am increasingly convinced that this is one of the necessary barometers of biblical character necessary for leadership. Leaders at any and every stage must demonstrate teachability, especially in the form of of responding with humility to confrontation (Prov 15:31-33, Heb 3:12-14). Leaders humbly desire that the flock will respond well to confrontation. Consequently, they must be the examples of this. This demonstrates further unity with leadership along with respect for the imperfect, flawed instruments which Christ has put in place. Like our Lord patiently does with us, existing leaders need to intentionally discover and develop potential leaders at every point in their leadership capacities. We need to equip, train, nurture, and recognize them along the way, giving grace for imperfection, while entrusting them with responsibilities for the care of the Lord’s church. Eric is the pastor of Cornerstone Church in Jackson Hole, WY. He and his team planted the church in 2008. 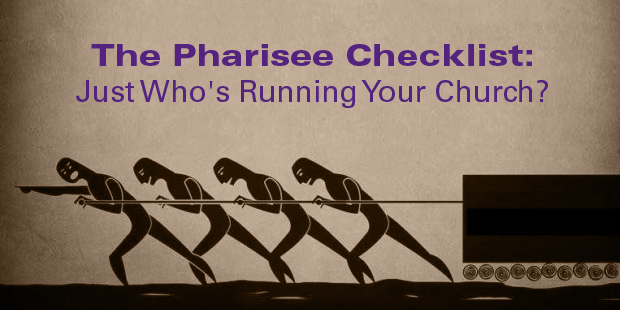 The Pharisee Checklist: Just Who’s Running Your Church? So are the Pharisees running your church? How would you know? And perhaps, more appropriately, how would you know if that was you? You could argue that the since the religious leaders nailed Jesus to the cross, there’s no way you would have done that. But seriously, how would you know? If you really read the Bible—I mean really read it—it’s pretty challenging. I read stories like Matthew’s calling in Matthew 9 and think, I might have been frustrated by Jesus too. When a person hangs out with hookers, criminals and other morally sketchy people, I’d question him as well. Which of course, would squarely puts me in the company of the Pharisees. 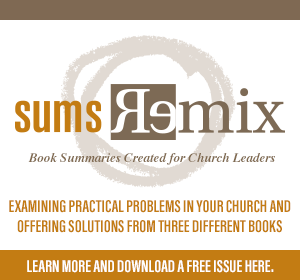 How do you know the Pharisees aren’t running your church? How do you make sure that Pharisee isn’t you? In many Christian circles, Pharisee is just a bad label. We throw it at someone we don’t like, we disagree with or generally think should suffer. But as I pointed out in this piece (The Top 10 Things Pharisees Say Today), the Pharisees are more nuanced than commonly thought to be. Part of the tension we lose in the dialogue today is that the Pharisees really tried to be righteous. They knew their Bibles as well as anyone. Their devotion was, purportedly, deep. And Jesus said they missed the boat. His most scathing words were reserved for people who claimed to be speaking for God. So what are the signs that the Pharisees are running your church? What are the signs that you might be that leader? Check those stats. Did you see how many downloads that message got? How many likes that photo picked up? Or that visitor who said he thinks you’re as good as that mega-preacher guy? Or, worship leaders, think about your mad guitar skills or your new V-Neck or fierce beard. Or admin types…check out the bullet proof system I put together. We all want to be better, or cooler (even though cool church is dying), don’t we? But sometimes in our pursuit to improve our skill, we lose our soul. When you’re focused on how you’re doing more than you’re focused on how the people you’re serving are doing, you’ve kind of lost the game. When you’re more focused on your performance than you are on the mission, there’s trouble ahead. Stop showing off. Stop trying to get better for the sake of trying to get better. Focus relentlessly on serving God and serving people, and an amazing thing might happen. You’ll likely get better. But at that point, you might not even notice. Which would be awesome. One of the big differences between the Pharisees and the ‘sinners’ Jesus hung out with, is how they felt about themselves. The Pharisees thought they were right. That’s dangerous territory for leaders because often we think we’re right or that our positions (theological or philosophical) are right. So, do you think your view is simply better than others? Or that you’re better than others? A little less sinful? A little more together? A little smarter? A little wiser? Spend a lot of time criticizing others and asserting how right you are? Money. Could there be a more fun topic in the church? And in church world and non-profit world, there’s a constant push to expand the mission, so there’s regular pressure on giving. And I think talking about money in church can be wonderful. I really do. 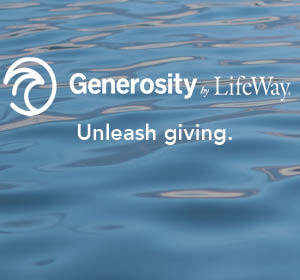 Giving, after all, is a spiritual discipline. In the same way I need to read my bible, pray, serve and invest in people who don’t know God, I need to give. All of these things are part of what I do as a Christian. We all need money. And ministries need money. But when you start to love money…you’re in trouble. So how do you know you might love money? When you’re excited about what the money is doing for you, not what it’s doing for the mission, you’ve crossed a line. When you refuse to have any financial accountability or wise people (to whom you’re accountable) speak into the details of your financial life, you’ve allowed money to become a master, not a servant. Or, answer this: if your church cut your wages, would it also cut your joy (assuming you could find enough money to live on elsewhere)? Money makes a wonderful servant in ministry, but a terrible master. In some leadership circles, lack of compassion is worn as a badge of honor. I used to joke about mercy not being one of my spiritual gifts. Okay, sometimes I still joke about my natural lack of compassion. Ironically, sometimes a lack of compassion helps you lead well. If you are too empathetic and overly sensitive to how people feel, you will get dashed on the rocks of leadership. 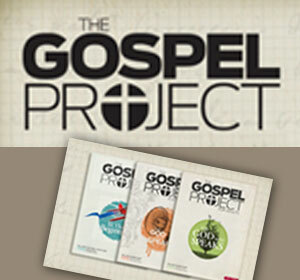 Jesus had to push past a lot of competing voices to accomplish his mission. So did Moses, Paul and myriad other leaders. But as committed as Jesus was to truth, he was exceptionally compassionate. He was frequently moved with compassion. And he rebuked the Pharisees for their lack of it. God’s compassion is why you’re a Christian in the first place. And if you haven’t noticed, people outside the church aren’t much attracted to compassionless, self-righteous leaders. I have repented and am repenting. I’ve got a long way to go, but God will make the compassionless more compassionate if you ask him. Practice what you preach is one of the oldest mantras around. And yet, if you’re a preacher, it can be very hard to do. You can convince yourself you’re exempt, or you’re just being ‘obedient’ and teaching what you’re supposed to teach, when you know you’re only half walking the walk. Pretending to be something we’re not and claiming privileges we don’t extend to others are 2 of 5 things I listed here that give pastors a bad name with unchurched people. And remember, those of us who teach actually get held to a higher standard than others. So, teach with fear and trembling. And humility. And accountability. Strangely enough, the Pharisees were anxious to win converts. So am I. Yet Jesus condemned the Pharisees, pointing out that they travel over land and sea to win a single convert but in the process, they make him twice as much a son of hell as they are. Are people closer to God after following you? Sure, not everyone will be. We’ve all read the parable of the sower. But after 3 to 5 years, do most people look more like Jesus or less like Jesus? Or to use another metaphor Jesus used, is there fruit? If you claim to be growing an orchard, where are the apples? Sure, we’re not perfect. We’re being sanctified over time by the Holy Spirit. But overall, people should be moving closer to Jesus. Spend even a few minutes in the Gospels, and you’ll see the Pharisees and other religious groups get jealous of any advance any other group makes. Each group wanted to be on top. If the Saducees won, the Pharisees lost. If Jesus made more disciples than they did, their blood boiled. So how’s your heart with that church down the road…the one that’s growing? How’s your heart when you hear some other church picked up yet another one of ‘your’ families? Hate it when other people they tell you they love listening to X’s podcast at the gym? The jealousy thing even infected John the Baptist’s disciples. But John got it right…it’s not about him. He must decrease. Christ must increase. See what John did there? He said it out loud. He gave public recognition and praise to Jesus. That’s what breaks the power of jealousy. If you’re jealous, publicly praise whoever you’re jealous of. Celebrate them. It will break the darkness inside. That will also give you a clear heart and mind to get on with your mission. After all, you likely live in a region where there are thousands…okay, tens or hundreds of thousands…of unchurched people. Focus on that. Please know, I write this not to make the church worse, but in the hopes that in some tiny way it makes the church better. I need to look in the mirror. Everyone who leads a church does. Far too much is at stake. The church has enough critics (just read through the comments on this blog, any newspaper piece on religion, or pretty much any online place that talks about the church). But if we take the criticism we usually reserve for others and prayerfully apply it to ourselves, we’ll get better. We will. And we have to. I believe the church is the hope of the future. So we just need to get better and healthier. And when we do, we’ll be far more effective. Any additional signs you see that show that you may have turned Pharisee? What makes a successful leader successful? And—here’s the next question— could you adopt any of their characteristics to help you become a more effective leader? Sometimes it’s easy to think that some people were just ‘born’ successful or that they ‘have it’ and you don’t. 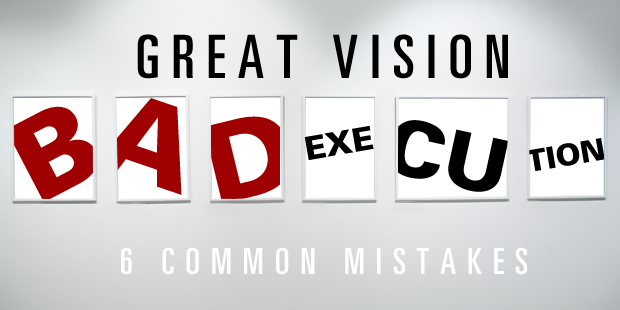 For sure, some people are gifted communicators, visionaries or organizational wizards who seem to naturally know how to lead churches and organizations. But the recipe for a leader’s effectiveness does not all lie in the gene pool. 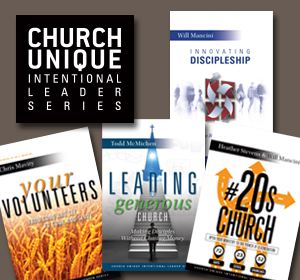 The good news is there are common traits and characteristics that make highly successful church leaders successful. And the really good news is that these characteristics can be learned and then adopted by leaders like you and me. Last year I launched a leadership podcast (you can subscribe and listen for free here) and so far have had the opportunity to interview over 20 top church leaders. Not only has this been a fun journey, but early on I started to notice common characteristics among all these leaders as we did the interviews. The common characteristics are so simple they’re surprising, and you might be tempted to dismiss them. But they’re incredibly endearing. And I think they are in part what makes each of them effective in their own realm. And there is absolutely nothing stopping you from adopting each of the characteristics in your own leadership starting today. So what do leaders like Andy Stanley, Perry Noble, Jon Acuff, Jeff Henderson, Pete Wilson, Derwin Gray, Tony Morgan, Kara Powell, Casey Graham, Ron Edmondson and others have in common? Of course they’re gifted speaker, writers, thinkers, strategists and more. But they also do the following 7 things very, very well. And before we jump to the list, you can get the full list of leaders here and can listen to any or all of the interviews by subscribing to my podcast (for free) on iTunes, Stitcher or TuneIn Radio. I know a lot of leaders who manage far less than any of my guests who are always running late. Usually they talk about how busy they are and excuse it. But not one of my guests has been late so far for their interview. They are precise. To the minute. This challenges me because as much as I value being on time, I sometimes show up a few minutes past due. This might only happen a few times each month, but it’s still a failure on my part as a leader. When you show up on time, you not only steward your time well, you steward other people’s time better too. I make it habit to send out questions and an interview tip sheet before each interview. Honestly, I never expected most of the leaders to read it. I know how busy they are and felt fortunate to get an hour of their time. Every leader I interviewed had read the questions in advance. What blew me away is some of them took it further. Andy Stanley made notes. So had many other leaders. So just how busy are you again as a leader? Many of the people in these early days of the podcasts are my friends and colleagues, but some truthfully I just knew well enough to ask to be on the show. But what blew me away is how all of them called me by name, not just in the pre-recording set up, but during the interview. It’s very endearing when someone knows and remembers your name. As a leader it’s hard to remember the names of everyone you meet. But it’s so important. I wrote this post a few years ago about my struggle to remember names and outline some techniques I use to help me when I’m stuck. If you want to be a better leader, remember names. And use them. It’s that simple. You would think that some leaders are just naturally great at everything. I record the interviews via Skype, and I was surprised by how many leaders had to get other people to help them get online (not everyone, but more than a few). Some leaders had to create accounts for the purpose of the podcast. They’d just never used Skype before. Others used other people’s user names and got that person to get them online because they weren’t sure how to do it. What’s interesting is they all seemed at peace with it. No apologies. No trying to pretend like they knew what they were doing. Just an honesty and a gratitude for the friend or staff member who got them online, and then a focus on our conversation and the upcoming interview. And maybe that’s a secret of their success. When you try to be great at everything, you can end being excellent at nothing. The world is not going to stop spinning because you need a friend to help you do something you haven’t taken the time to master yourself. They were just super cool not being great at everything. And I think that’s super-cool. Sometimes there’s follow up to an episode. We’d cover something in the interview I wasn’t expecting to cover and after it was over, I’d ask whether they could provide the link or resource they talked about. A great example is Perry Noble’s interview on burnout (such an amazing and compelling story by the way). We referenced a number of articles on his blog and resources he and his team had pulled together on burnout, depression and suicide. Perry and his team got me the notes within an hour of promising they would. And it was no small project. Have a look at the show notes. The coolest part is that those notes have literally helped thousands of leaders at this point. Follow through—and fast follow through—is a characteristic of almost every effective leader. The lesson is simple. Don’t make promises you can’t keep. And when you promise, deliver. Every guest I’ve interviewed so far takes their work seriously, but not themselves. It’s so refreshing to find leaders who are absolutely passionate about their mission, but who don’t take themselves that seriously. This shouldn’t be a surprise, but it is. Jim Collins identified humility as the defining difference between a Level 4 and a Level 5 difference. The leaders who go the furthest, even in business, are the most humble. Want to be a better leader? Take your work more seriously than you take yourself. I often get asked, so what’s __________________ really like? I love that question, because of the top church leaders I’ve met and know, the answer is they’re incredibly genuine people who walk the talk and who are good to be around. I was a little intimidated in some of the interviews, but the warm demeanor, kind words and down to earth approach of every guest was disarming and encouraging. I’ve met some leaders of small things who take themselves too seriously and are anything but down to earth. I think that limits your leadership. The leaders I’ve interviewed all know whether they’ve come from, realize that leadership is a stewardship and make others feel at ease. What if you and I made others feel the same way. These are 7 characteristics I’ve seen in the high capacity leaders I’ve been around on my podcast in and in my leadership. What do you see in the leaders you admire? Ultimately, leadership is about turning a vision into reality; it’s about producing real results in the real world. And that is only done through people doing what it takes to make it happen. So, as a leader, how do you get that to happen? What are the things that you have to do to ensure they will do what will make it work? What do you have to do with a team, a direct report, or an entire organization? Why is it that some leaders are able to get those results when they implement those principles? When they cast vision, engage talent, work towards execution, create and implement strategy… great results happen. Yet, other leaders do not get those same results, even with good plans? Why? 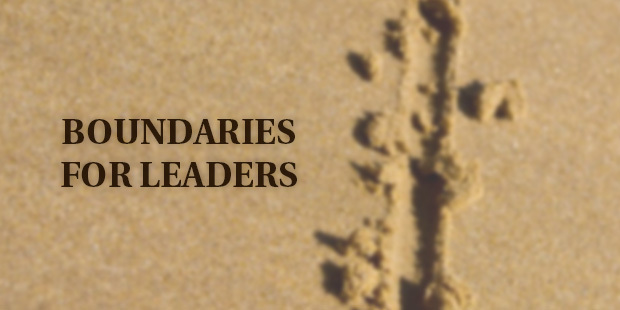 I believe that among all of the things that a leader does, one of the most important is to set “boundaries.” Basically, a “boundary” is a property line. It defines what will exist on a property and what will not. The property line around your home is like that. It defines where your property begins and ends, and you are in charge of exactly what will happen on that property—and, to our point here, within your business or organization. 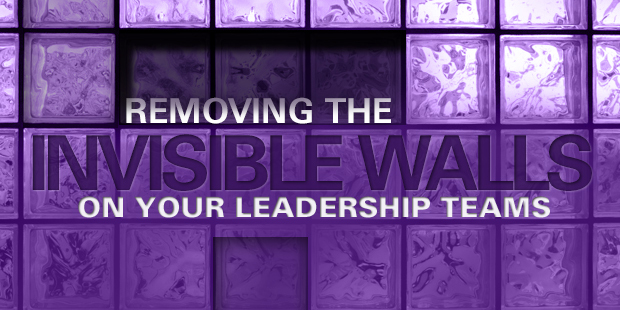 Leaders must establish some boundaries in some very key areas if they want to get results. And, thanks to brain research, we now can scientifically get a peek into why the leaders who do establish these kinds of boundaries get the results that they get. Clinical psychologist Henry Cloud, author of the recent book Boundaries for Leaders, has identified the following 5 key boundaries. When leaders realize that they are ridiculously in charge of what happens on their “property,” the lines that exist under their leadership, they ask themselves what they are either creating or allowing. And as we have seen, much of it can be improved if they take charge and establish some good boundaries that help people’s brains work well. They can create good brain cultures. When that happens with good people, results will follow. >>Download Dr. Cloud’s understanding of these 5 key boundaries here. Dr. Henry Cloud is a clinical psychologist with an extensive background in both inpatient and outpatient treatment programs, and he has a well-established private practice in California. He is also an international speaker and the author of the The One-Life Solution , as well as coauthor of the bestselling Boundaries, The Mom Factor, Raising Great Kids, and How People Grow. Amazon continues to be a force in our culture. In the run up to to Christmas 2014 they sold 426 items per second! I just finished reading Brad Stone’s fascinating study of Amazon called The Everything Store. 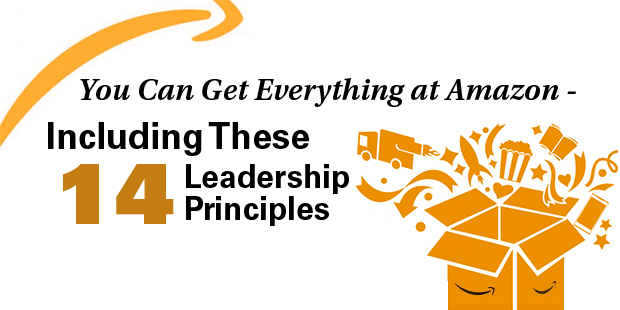 I was struck by the 14 leadership principles that Amazon (and CEO Jeff Bezos) operates by and wondered how they might apply to leading in a church. Here are my reflections on the principles … I’d love to hear yours in the comments! Customer Obsession // Leaders start with the customer and work backward. Even a cursory amount of research on Amazon reveals they are obsessed with serving customers. They fixate on crafting easier and better customer experiences — 1-Click Ordering, Prime Membership, Kindles — the list goes on and on! How obsessed are church leaders about our guests? Do we listen to them and try to understand how we can create better experiences? It’s humbling to see a retailer so passionate about serving people. Do we at least match that intensity with our important mission? Ownership // They act on behalf of the entire company, beyond just their own teams. Once your church grows beyond 200+/- people the silos and fiefdomsbegin to multiply. Departments try to outdo one another with their volunteer thank-you events and swag. We cheer just a little louder when our team does something right. One group of creative communication types may sneer at something that another group does. We need to help our teams ask the bigger question: How are we working to see all departments, campuses, teams, and people win at our church? Invent and Simplify // As we do new things, we accept that we may be misunderstood for long periods of time. When was the last time we tried something new? I mean really new … something that people might think you’re crazy for doing. Amazon plays the long game on a lot of its projects and is misunderstood all the time. Some of it has worked (Amazon Web Services) and some of it has bombed (Fire Phone), but they’re in the game to grow their business and delight customers. Why don’t churches have research and development departments? How can we be misunderstood this year? Are Right, A Lot // Leaders are right a lot. They have strong business judgment and good instincts. This is an interesting value for church leaders to consider. Where is the tension between strong leadership and a lack of humility? I’ve met a lot of amazing church leaders with great instincts but they hold back because they don’t want to be perceived as pushy. Hire and Develop the Best // Leaders raise the performance bar with every hire and promotion. When you transition from being a solo pastor to a multi-staff church, the most important thing you can do is hire and develop your staff. While I totally believe this to be true, I haven’t always lived it out. Like all non-profits, we’re stretched for time and energy. Hiring can fall to the bottom of a very long and pressing list. I’ve been caught (more than once) with the dilemma of hiring too early, thinking “someone is better than no one.” It’s bit us every time. Insist on the Highest Standards // Leaders have relentlessly high standards, which many people may think are unreasonably high. Our mission as church leaders is the most important thing on the planet. There is nothing more important than what churches do. So why do we lack that level of intensity? I’ve met a lot of church leaders who tolerate incredibly low standards and I think that is the one thing that is holding their ministries back. Building a growing church takes a lot of intense work — emphasis on a lot and intense. Think Big // Leaders create and communicate a bold direction that inspires results. You can’t out-dream God. 10x your thinking. Don’t launch one campus … ask what would happen if you launched five in one weekend! Don’t settle for having your book published … give it away to 30,000 people … for free! What happens if you fail? You only launch three campuses … or only give away 20,000 books? Think of the impact. Bias for Action // Speed matters in business. We value calculated risk-taking. “Jesus is coming back, look busy.” There are seasons in your ministry when you need increased momentum. When people are ready to invite their friends … do everything you can to encourage it. Don’t wait to launch that new student ministry next year … those kids just keep getting older. For whatever reason God seems to work with those people who are willing to take action. I don’t totally understand it, but I do know that faith is a verb and it requires us to participate. Do something … see what happens … adjust course. Embrace Frugality // Frugality breeds resourcefulness, self-sufficiency, and invention. Amazon CEO Jeff Bezos’s first desk was made of doors bought from Home Depot and bolted together. He still uses a “door desk” today … and many of the conference rooms at Amazon have “door conference tables.” Spend money where it makes an impact on your guests and cut back on everything else, so you can spend it on your guests. Your offices can be too nice. Your staff party can be too extravagant. Watch your spending and invest in what matters most. Be Vocally Self-Critical // Leaders do not believe their or their team’s body odor smells of perfume. Love this one! Leaders who believe their own good press drive me up the wall. You’d think this value would be easy for church leaders to live out … we are all keenly aware of being fallen and our need for a Savior. However, we do like the smell of our own perfume just a little too much. Earn Trust of Others // Leaders are sincerely open-minded, genuinely listen, and are willing to examine their strongest convictions with humility. Trust is earned and not given. It’s earned through listening with humility. What process do you have in your church for listening to people who might disagree with you? Recent scandals in our community prove that there can be an unhealthy culture in churches where leaders don’t listen to people around them. In fact, they use spiritual language to silence people who disagree with them. This needs to stop. Dive Deep // Leaders operate at all levels, stay connected to the details, and audit frequently. No task is beneath them. When was the last time you actually experienced what it’s like to come to your church? (Or any church for that matter?) Being the “first in, last out” gives you a false sense of what it’s like. How can you dive deep into the experience that you provide? What do “normal people” experience at your church? How can you use your leadership to make it better? Have Backbone; Disagree and Commit // Leaders are obligated to respectfully challenge decisions when they disagree, even when doing so is uncomfortable or exhausting. Some of the healthiest church leadership teams I’ve seen have serious disagreements. I mean red-faced, passionate disagreements … not passive-aggressive, stab-you-in-the-back battles. The stakes are super high, so it’s understandable that we’ll find ourselves on different sides of issues and opinions. If no one is fighting (well) in your leadership team meetings, you probably have the wrong people in the room. Deliver Results // Leaders focus on the key inputs for their businesses and deliver them with the right quality and in a timely fashion. What are the results you are attempting to deliver? We all think about noses and nickels — weekend attendance and revenue — but what are your other key performance indicators? How many first-time guests came last month? How does that compare to last year? What is your volunteer attrition rate? Is it going up or down? Numbers matter … even if you aren’t a “numbers person,” you need to understand the numbers that show the health of your church. > Read more from Rich here. 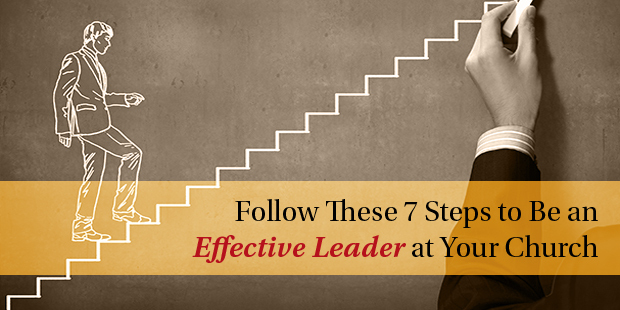 The demanding pace for leaders has never been more challenging. Digitally connected every moment, we are increasingly tied to a 24-hour global clock. This is the “new normal.” We are expected to perform continually in the face of crises and multifaceted pressures, including downsizing, mergers and the accompanying stresses and expectations. The list of demands, personal and professional, never ends. Could it be that going faster and driving harder are not the answers? Could there be another way to sustain high performance? Could it be that the source of our real value as leaders might come from different thinking and different choices rather than from perpetuation of the incessant pace we strain to maintain? How often do we miss small but significant moments—opportunities that can unlock our hearts and minds, open us and connect us more deeply with others and the possibility of creating something new and different? Too often, we get carried away by our busy-ness. We are too hyperactive, too reactive to notice hidden, value-creating dynamics waiting beneath the surface within us and around us. Tethered to our smartphones, we are too caught up and distracted to take the time necessary to focus our attention, sort through complexity or locate submerged purpose. In our urgent rush to get “there,” we are going everywhere but being nowhere. Far too busy managing with transactive speed, we rarely step back to lead with transformative significance. 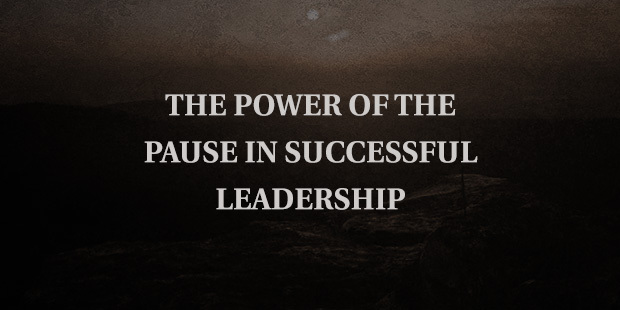 >> Pause—a step back to lead forward—is a transformative, pragmatic, albeit paradoxical principle for sorting through complexity and coming into conscious connection with what is important. Why would pragmatic, hard-charging, achievement-driven leaders pause in order to accelerate performance and growth? Put simply, that is exactly what is needed to sort through complexity and drive performance to the next level. If leaders today do not step back to gain fresh perspective and to transcend the immediacies of life, we will continue to crash economically, personally, and collectively. Our downside survival and upside innovation depend on it. Certainly, we need to do more to meet the demands of high-performance, complex problems, and innovation, but in today’s world the doing needs to be new and different. The Pause Principle is the conscious, intentional process of stepping back, within ourselves and outside of ourselves, to lead forward with greater authenticity, purpose, and contribution. Kevin Cashman, founder of LeaderSource, an internationally recognized leadership develop program and author of The Pause Principle, develops these thoughts into Seven Pause Practices. This value-creating methodology engages more examination, higher-order logic, rational analysis, profound questioning, deeper listening, higher-quality presence, broader perspective, greater openness to diverse thinking and input, and ultimately more influential, innovative action. >>Download Kevin Cashman’s Pause to Lead Forward manifesto here. Kevin is a best-selling author, top-ten thought leader, world-class speaker, global CEO coach and pioneer of the “grow the whole person to grow the whole leader” approach to integrated leadership development. He is the founder of Executive to Leader Institute® and the Chief Executive Institute ®. 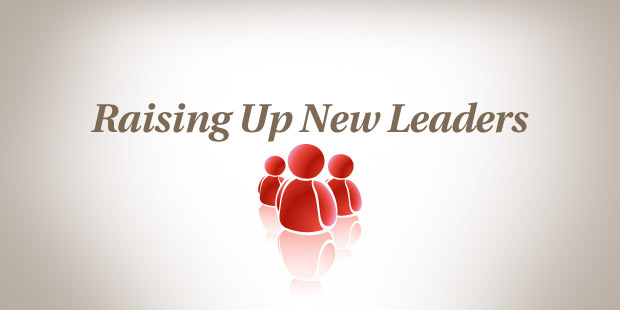 He also founded LeaderSource, recognized as one of the top three leadership development programs globally. In 2006, LeaderSource joined Korn/Ferry International, where Kevin is now Senior Partner, CEO and Executive Development. Does Your Onstage Performance Reflect Your Backstage Practices? Before I name the mistake, let me describe how it pops up. You want to move ahead so you brainstorm a bit, read the latest books, review all the models, attend a conference or watch some videos. Then draft the new strategy, delegate responsibilities, and launch the new plan. Spinning Your Wheels. Lots of vision and planning is done, and even some keenly designed initiatives, but you seem to be spinning your wheels and getting nowhere. Why? Driving on the Wrong Track. You get off to a fast start, launch an initiative, and soon leaders start moving, building teams and creating materials … but there is confusion. Why is this not working? You’re going somewhere — but where? Having a Multiple-Vehicle Accident. Your entrepreneurial team starts launching their own version of the vision, building and designing what works for them, running into one another as they fight for people, recognition, platform and resources. Soon there’s a 6-leader pileup. These leaders had great strategies, good people and ample resources. But they kept failing. What needed to change? 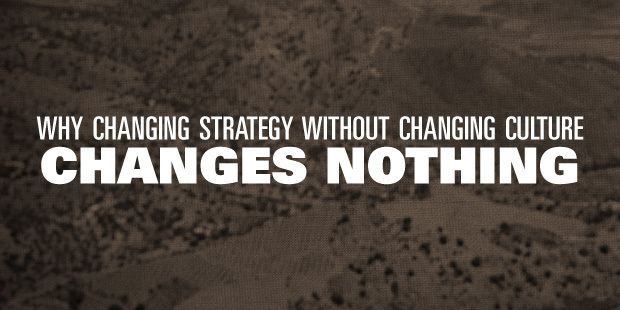 When you change your strategy without changing your culture, you change NOTHING! Change is resisted at every bend. Here are ten reasons why. So why amplify this reality by putting new wine in old wine skins? Or, to stick with our racing metaphor, we strap a formula-one engine to a NASCAR chassis. It makes a lot of noise and covers a lot of ground – but nothing really changes. A university creates online programming to make more content available – but they don’t change delivery methods, relying on a teacher-centered model instead of a learner-centered approach. A church wants a new outreach strategy and launches new “missional communities,” but the congregation does not have a missional mindset, and they really don’t understand the people they are trying to reach. A business hires phone “consultants” for that “personal touch” to improve customer service. But actually what the customer wants is speedy ordering, distinctive choices and an easy internet-based return policy – they do not need a nice phone conversation. …it favors experimentation over elaborate planning, customer feedback over intuition, and iterative design over traditional “big design up front” development. Although the methodology is just a few years old, its concepts—such as “minimum viable product” and “pivoting”—have quickly taken root in the start-up world, and business schools have already begun adapting their curricula to teach them. This approach is working because it forces you to actually understand the culture you are trying to reach, and the culture you are creating in your own camp. It is not enough to change a strategy or talk about innovation. Cultures must change. I spend lots of time helping teams and leaders make progress here. Here are some questions that drive that process. What defines us now – who are we really? What exits in the new culture we want to create that is absent now? What kind of leaders do we need to become to make this transition? What environments, tools and processes need to be created (or removed) in order to move toward the future? Do we have/can we get the right people? What actual steps are required and who is responsible for each one? How do we know we are making progress? How hard are we willing to work to change our culture? Leaders are in the culture-making business. Before you take the “big splash” approach again, you might evaluate the culture…inside and out. That means changing how you view potential leaders, the systems you design, the people you recruit or hire, the process (not just the end result) of how you develop strategy, and whether you become learners rather than teachers. So what’s in your culture? What will it take for a cultural makeover? What are your biggest challenges in culture shaping and culture changing? >> Read more from Bill here. Bill’s vision is: “Resourcing life-changing leaders for world-changing influence.” Leaders and their teams need a clear personal vision and a transformational team strategy. This requires work in 3 key areas: Maximize Leadership Capacity, Sharpen Mission Clarity & Build Transformational Community. Bill has leadership experience in both the for-profit and non-profit arena. After working for P&G in New York and PNC Corp. in Philadelphia, Bill was Director of Leader Development & Group Life for the Willow Creek Church & Association where he created leadership strategies and events for over 10,000 leaders on 6 continents in over 30 countries.